A family escapes from a burning ship and lands into the coast of Africa. They build a house-tree, but unfortunately they are killed by a leopard. Their kid, Tarzan, survives the attack and is adopted by Kala, a gorilla that raises Tarzan as his own child. 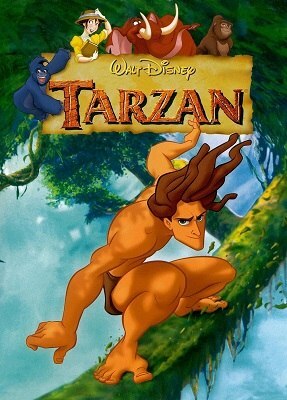 As Tarzan grows up, he discovers that he is not like the rest of the gorillas and he tries harder to be faster and more agile. One day, a group of English explorers come to the region where Tarzan lives. Among them is Jane, who Tarzan saves from a group of baboons. Jane and Tarzan soon fall in love, and Jane is reluctant on leaving the jungle.